The cooler weather has now arrived across the region and you’re now likely considering the best ways to keep your home clean for the months ahead. 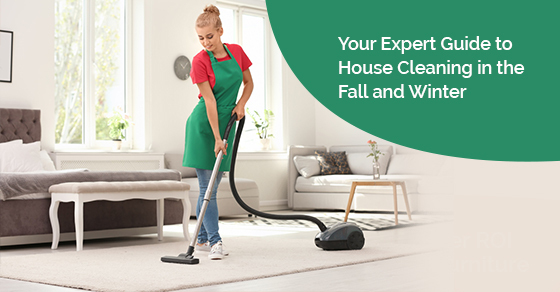 Our experienced team here at Sunrise-Cleaning in Mississauga has a clear understanding regarding quality winter cleaning services, and within this new post, we’ll provide our expert guide to keeping your home clean throughout the fall and winter seasons. Doormats are your home’s first defense against the slush and the dirt that can erode carpeting and damage hardwood floors. Take the time to install doormats throughout the home so you don’t face an expensive cleaning bill in the months ahead. For that extra layer of protection this winter season, consider using one doormat outside the home and one doormat inside. The added effort will be worth it when you see the reduction in cleaning costs! It’s an item that’s rarely considered until it’s desperately needed. But boot trays can help to make your home look tidier and keep it cleaner this winter season. For the low maintenance boot tray option, there are plastic products available widely online and in retail stores. But for those who wish to blend the boot tray with their home decor, you can always use copper stamped products that feature unique decorative designs. One of the more common impediments for homeowners struggling to keep a clean property throughout the winter season is dirt in hallways and mudrooms. The slush and grime that sticks to the floor in these areas can be caught on socks and then tracked inside the house, causing a significant cleaning problem. It’s important you take care to clean your foyers and mudrooms regularly as this will go a long way to keeping the rest of the home in the optimal clean condition. It might be difficult at first, but you must try to ensure that your children don’t bring their shoes inside the home during the winter time. One great way to help support your family in enforcing this rule is to place a laundry basket by your boot tray in the mudroom or foyer. Your family can remove their dirty shoes and boots and place them on the tray. Then they can remove their cold, wet socks and place them in the laundry basket ready for the washing machine. This process helps build a routine for arriving back at the home and will significantly reduce your cleaning work. With your family spending more time indoors during the fall and winter seasons, it’s important that you take the time to vacuum your furniture. The furniture will quickly become dusty as a result of the contaminants being distributed throughout the home by your home heating system. Take the time to vacuum the furniture, as well as the carpet, to minimize the amount of dust and pet dander that settles in the home. Not only will this help in making your home look cleaner, but it will also reduce the level of allergens in the home space. There’s often nothing better on those cool winter mornings than sitting around the fireplace and watching television or reading together with your loved ones. But many families don’t recognize the potential hazard in their chimney. If there’s a blockage in the space, and the fireplace is turned on, smoke could fill the home rather than being vented outside. Before you begin using your fireplace and chimney this season, have the area inspected professionally to determine it’s in optimal working condition. One mistake many homeowners make when cleaning around the home during the holidays is not considering their home dryer and the vents connecting the dryer to the exterior area of the property. The vents must be cleaned annually to ensure that heat can be vented from the dryer. When it becomes blocked, there’s the potential for a dryer fire and for the dryer to break down over a short period of time. It’s now the time of year where the majority of the family will be spending more time together at home keeping warm. And so you should consider ways in which to make sure your home looks its best throughout the months to come. One area on which to focus is your home’s carpets. Take the time to clean your home carpets carefully using steaming equipment. This can help to remove any animal odours or tough stains that might have been collected over past years. We can visit your home for a one-time cleaning service designed to ensure professional cleaning is completed on an as-needed basis. We offer both a one-time basic cleaning service and a one-time deep cleaning service that includes the deep cleaning of carpets, bathtubs, showers, sinks, floors, and all areas throughout the home. Our team also offers a regular recurring service, which can be designed according to your unique schedule and cleaning requirements. Our regular recurring cleaning service includes either one or two maids for ongoing cleaning work throughout your home. At Sunrise-Cleaning, we present you with a full range of customized cleaning services designed to help you consolidate the cost of achieving that completely clean home. It’s the ideal option for those with unique home maintenance challenges. To discover more about our team and our range of service options for your upcoming winter cleaning requirements, please call today!